Awesome pub with Star Wars figures behind the bar and a selection of retro games consoles setup! 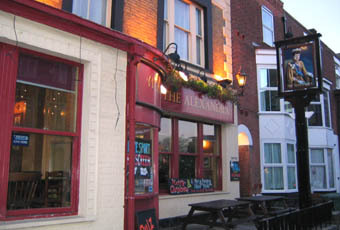 Beers are good, standard selection, has live music on occasion and other events. Has live sport on also. Southampton city centre's best pub. Good beers well kept. Reasonable beer garden. This pub is the best place to watch football matches on the big screens. You can sometimes get a quiet pint - but often very lively at the weekend in the evenings. Landlord is a film nut - so interesting movie memorabilia around the place. Along with The Red Lion in Bedford Place, this is my favourite pub in Southampton. Ales kept immacultely, particularly Timothy Taylor Landlord. Quite pricey, but then again, I'm happy to pay good money for a better than good pint! 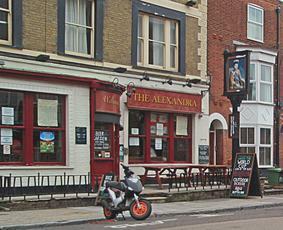 Good comfortable back street boozer, friendly staff and good beer. Ringwoods best. Back-street local with two rooms and a dozen or so picnic tables in the paved yard out the back. I popped in at school chucking-out time and was almost the only customer. A pint of Ringwood's Best Bitter cost �3, served in good condition. Food not sampled.